Welcome to Day 3 of Satori’s Blogiversary Event! If you love to craft or DIY, you’re in for a real treat. The next giveaway comes from Ribbon Revelry, a one stop shop for all your ribbon needs! Chelsea has generously donated a $25 grab bag in a theme of your choice from her Etsy Shop. 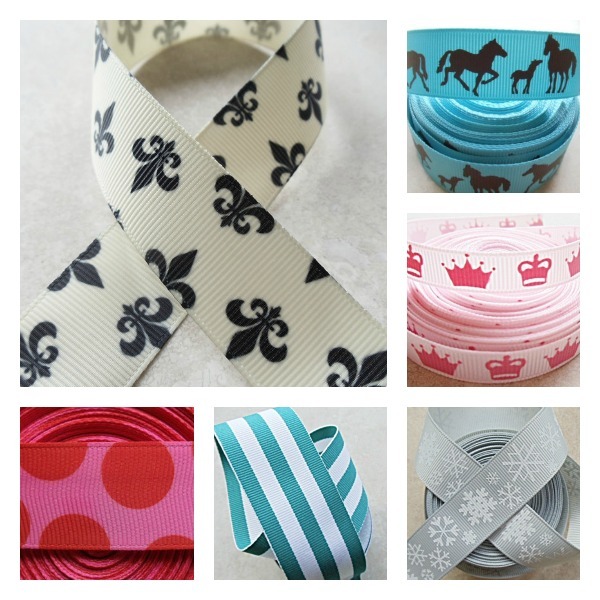 Think of all the project possibilities with an assortment of printed ribbon! You can check out Ribbon Revelry’s full collection on Etsy. P.S. If you haven’t entered Monday’s or Tuesday’s giveaways, head over there now. See you tomorrow for the next fabulous giveaway! The ballerinas would be perfect for my daughter! Love the Ahoy Thar Matey Lime green with black skull & crossbones print 7/8 inch grosgrain ribbon. Wow, I can’t believe the selection of ribbons, I love anything animal print! Congratulations Shauna! I love your blog and am so happy for you. I am a closet ribbon addict and had a hard time picking a favorite but I love red, white and blue and argyle soooo…….. the patriotic red & blue argyle is a favorite. I love the zebra moonstitch, the abc's and school, the paris themed, ballerina themed, bible themed, I can't choose, I love them all!! Love RR!! My favorite ribbon from Chelsea at ribbon revelry is the black with white swirls! i love all of Ribbon Revelry’s ribbon!! the elegant swirl ribbon is my favorite! I love the horse ribbon! There are so many cute ribbons, but the classic white and red stripe is my favorite. I love the sunflower ribbon!